This weekend the fan-favorite “Freeway Series” returns as the Angels play the Dodgers on Friday, Saturday and Sunday at Dodger Stadium! Our Angels Express trains have got you covered because we’re offering special round trip service to Los Angeles for each game this weekend for just $7 for each adult ticket! Since this exciting series takes place in July, the kids ride free offer is eligible, too! That’s right, kids 18 and under ride free with a fare-paying adult! Once you get to L.A. Union Station, head to the Dodger Stadium Express shuttle where you can ride for free with a same day Dodgers ticket. 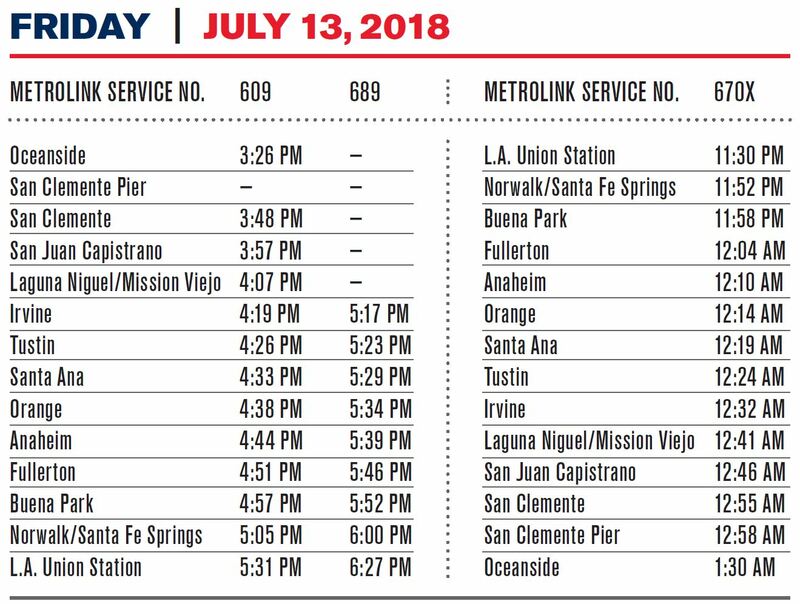 These special $7 Round-Trip and $6 senior/disabled/Medicare tickets can be purchased the day of the game via the Metrolink App or at the ticket machines along the Orange County Line. Metrolink is partnering with Metro to provide special baseball train service through a Mobile Source Air Pollution Reduction Review Committee (MSRC) grant. You Can Improve Rail Safety!